Are you looking for a construction company in East London? At Spenwell General Builders we pride ourselves on bringing 25 years of experience in the construction industry to the timeless art of good craftsmanship and reliable, lasting work. We’ve been operating as a construction company in East London and Essex areas for a long time and love the chance we have to work locally for our community against bigger but more anonymous businesses. We’d like to show you what personalized attention is all about. Because of our focus on general building, we can provide a range of services according to your needs. Having reliable roofing and guttering is an essential part of maintaining a functioning home. At Spenwell we know that when it comes to roof and guttering repairs, you want them speedy and reliable, so you can get back to normal with as little hassle as possible. We’re specialized in all the steps involved in roof and guttering repair, so we can be by your side quickly making the necessary changes with care. If you’re looking for a construction company in East London, we can offer you a range of services. At Spenwell we have many years of experience in extensions and loft conversions in the Essex and Greater London areas (Romford, Dagenham, Chigwill, Woodford, Ilford, Brentwood, East London). Whether you’re looking to add a few meters of space to your living room or finally do something with that attic, we’re happy to help. 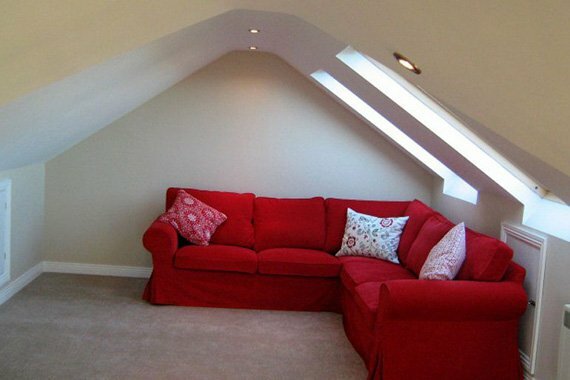 We specialise in both one and two story loft conversions and all types of extensions. We do complete house refurbishments in the Greater London and Essex areas. Whether you’re looking to renovate a room entirely, or just do some much-needed repairs on floors or windows, we’ll bring our expertise and our passion for home improvement to the job. We take care of all the technical aspects of renovations, such as plumbing and electrics, but also the more aesthetic features, so your refurbishment gets the best of both functionality and beauty. We offer both customized installations and full renovations for kitchens and bathrooms. We have experience with a range of sizes, styles and design options, both contemporary and traditional. We can provide all tiling, plumbing and pipe work where necessary, so your new kitchen or bathroom is completely functional as well as beautiful. We provide a full heating installation service in the Greater London and Essex areas. We offer a wide range of boilers to suit your specific needs (gas fuel, oil fuel, solid-fuel, electric fuel). With our expert and reliable service, you can renew your heating for maximum efficiency so that you stop wasting money on an outdated system. We provide a full installation or repair service of electrics for both residential and business properties in Greater London and Essex. Whether it’s an emergency repair or the installation of a new stereo system, you can count on our expertise and fast service. At Spenwell we pride ourselves on our fine attention to detail. While getting all the major building blocks of a project right is essential, it’s the finishing touches that really make a space stand out. We can help you with all your carpentry, tiling, plastering, flooring, wallpaper or painting, with an eye to both beauty and durability. If you’re looking to turn your lackluster outside space into the garden of your dreams, we can help you with all laying of patios, decking, ponds, pathways, fencing, driveways and turfing. Depending on your property size and space organization, there is a lot that can be done. We’re more than happy to come to take a look if you’re still in the planning stages or get working if your vision is already set.